Wes joined McLaren in July 2018 as Plant Director MCTC to lead the transition of in-house composite monocell production from the development phase to full industrialisation at the new Sheffield site. This involves the recruitment and training of more than 200 skilled employees, installation of facilities and capital equipment and the development of several new ground-breaking processes. Prior to joining McLaren Wes had an extensive career within Ford motor Company, starting in 1990 as a Mechanical Engineering undergraduate engineer. After graduation in 1995 he held a number of manufacturing engineering roles at Halewood Transmission Plant. In 1999, he was nominated for Ford’s 3-year Manufacturing Leadership Program involving cross functional business assignments in Detroit and Cologne. On returning to the UK Wes held several operational leadership positions in Halewood including Quality Manager and Production Director. In 2013 Wes moved to Slovakia with his family to head up the recently established Kechnec Transmission Plant producing automotive dual clutch and motorcycle transmissions. Over a period of 3 years the plant doubled its output and increased the workforce to 1200 people. Wes returned to the UK in October 2016 as Senior Director of Halewood operations responsible for current production and future plant strategy. Wes is a chartered engineer, he attained a BEng in Mechanical Engineering and MSc in Manufacturing Systems & Management from the University of Bradford. 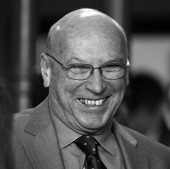 He supports local industry through his role as Chairman of the Board for the Northern Automotive Alliance. Wes enjoys a number of outdoor sports including Mountain Biking and skiing. His greatest passion is motorsport, participating in rallying and track days for over 25 years. 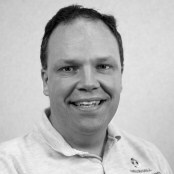 Steve Williams is Managing Director of Force Technology Ltd based in Lancashire. Force Technology is a new and innovative manufacturer of precision compression springs, principally for high risk and critical quality applications. The company was created by Steve and his business partner in 2015 after they had spent the previous 19 years building a leading manufacturer of springs for engine valves, fuel injection, transmission systems and fluid power. Markets are global and include a range of transportation applications from passenger cars, light and heavy trucks, to locomotive and marine power. Steve has a wide ranging employment experience in operations, project and engineering management in the mechanical engineering, automotive and aerospace sectors. With a BSc in Physics, he is also a director of the Institute of Spring Technology and has various interests including local history, classic cars and sailing. James has been Finance Controller at Jaguar Land Rover’s Halewood plant since 2015. The plant opened in 1962 as a Ford facility and is now home to both the Land Rover Discovery Sport and the Range Rover Evoque. James is also Controller for all UK stampings operations, supporting three UK press shops and Stampings Engineering. Since joining Jaguar Cars as a graduate in 1997 he has worked across the finance function within Product Development on various vehicle and engine programmes, Purchasing, Marketing & Sales and Manufacturing. He has a BA in Economics from the University of Manchester and is an Associate Member of the Chartered Institute of Management Accountants (CIMA). Over twenty years of experience with automotive oems Perkins Engines and Garrett Turbochargers from development engineer to aftermarket MD and working with companies in Europe, USA, Japan and Africa. Spent the last 23 years setting up Camco88, Camco Automotive Ltd, Camcoat Performance Coatings and Diamondyze Ltd. Grateful for the help, including financial through the Business Excellence programme, received from NAA so pleased to serve on the board as SME member to give something back. 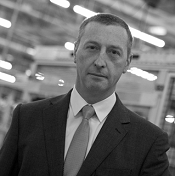 Paul Croxford has been Finance Controller at Vauxhall’s Ellesmere Port Plant since April 2008. The plant is ‘Home of the Astra’, having built all Astra models over the past 35 years, and is sole producer of the Astra Sports Tourer. It also produces the 5-door Astra hatchback. Paul is a senior member of the management team that has overseen changes at the plant enabling introduction of the current Astra models into build at Ellesmere Port during 2015 and 2016, as well as working on continuous improvement to the plant’s process, quality and efficiency levels. Since joining Vauxhall in 1985, Paul has worked in a finance capacity within the Aftersales, Sales and Marketing, Powertrain and Vehicle Manufacturing operations. He has a BA Business Studies degree and is an Associate member of the Chartered Institute of Management Accountants. 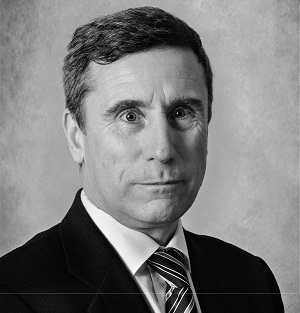 Denis Culloty is Chief Engineer at Leyland Trucks & leads a team of 120 engineers responsible for the design & development of the DAF LF & CF 65 range of trucks. Denis has a BEng degree from Liverpool University and is a Chartered Engineer & a Fellow of the Institute of Mechanical Engineers. Away from work he spends time at the gym, running, walking his golden retriever or following his beloved Everton Football Club. Mike has over 25 years of Automotive experience gained through a wide ranging International career. His career started in the mid ‘80’s in North East of England with the Nissan Group. In 1993 Mike joined General Motors as an internal Lean Manufacturing Consultant a position that led to a series of international assignments of increasing responsibility cumulating in being Director of Supply Chain for GM’s International Operations Region. In 2012 Mike joined Qoros Automotive based in Shanghai China as the Company’s first Chief Supply Officer. In 2015 after spending 22 years based overseas in European and Asian locations Mike decided to return home to England and took the position of General Manager Automotive at SMMT-Industry Forum. Mike posses a broad experience base, has lived and worked in multiple countries and managed global operations. He possesses a career track record with deep functional and operational credibility in Logistics, Supply Chain and Lean Manufacturing and has developed the capability to operate at a strategic level within organisations as well as broad experience in building business processes & systems, people capabilities and operational management. This makes him ideally suited to lead SMMT-IF’s Automotive segment and support UK Companies on their path to excellence. Mike held senior procurement positions in Rover Group and latterly BMW Group global purchasing. He was a key player in the BMW Group management team tasked with achieving post-merger synergy and process harmonisation, and led the purchasing operations activity at the Oxford MINI Plant from its inception in 2000. Combining consultancy, training and interim management activities in procurement, cross-functional collaborative working and broader management and leadership disciplines, Mike has developed and led improvement programmes across sectors, including automotive, nuclear, marine, aerospace, defence, food & beverage, transportation, pharmaceuticals, packaging and public sector, across four continents. 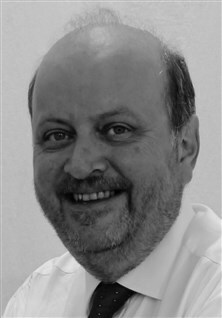 He has participated in a broad range of automotive industry programmes: DTI National Supply Chain Group Assessment Panel; SMMT Industry Forum Action Group; Birmingham Chamber Accelerate Partnership & Executive; Northwest Automotive Alliance Supply Chain Group; MAS-NW Supply Chain programme; and as a Merseyside Manufacturing & Automotive Group Board member. Between 2015 and 2016 he was Project Director of the Furness Economic Development Forum Supply Chain Initiative. Mike was awarded an MA in French & Business at the University of Edinburgh, and received an MSc in Engineering Business Management from the University of Warwick, Mike is a member of the Chartered Institute of Procurement & Supply, and Chair of the South Lakes branch; the Chartered Institute of Management; and the Institute of Consulting. A keen fan of cricket, football and Rugby Union, Mike is a season ticket holder at Burnley FC. Peter represents SME’s on the board as he’s worked in his family business for over 30 years. Auto Marine Cables was founded in 1964 and the business has transformed from a chain of retail shops selling automotive accessories into one of Europe’s largest manufacturer and distributor of automotive cable and electrical accessories. 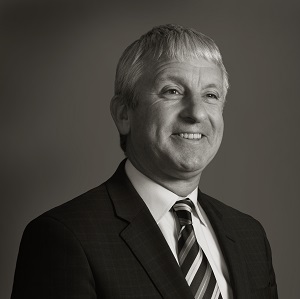 Peter has seen the business go through a transformation with the successful implementation of ISO 9001, Investors in People and in the last 7 years working on business improvements using lean manufacturing tools and techniques. 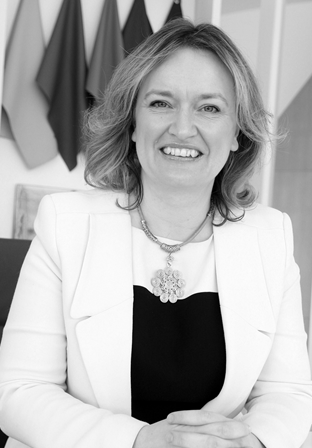 Sally Hepton is Director of Government Relations and Corporate Social Responsibility for Bentley Motors. Bentley is the world’s leading producer of luxury cars and is based in Crewe. Sally is a Regional Council Member of the CBI and a member of the trust for the new University Technical College in Crewe having helped secure this national investment into the town. In 2016, Sally was recognised by Auto Car as one of the top 100 women in the British car industry. Prior to joining Bentley, Sally held national and international roles for Shell and Toyota. Sally has a Masters in History and enjoys playing golf and tennis and driving fast cars whenever the opportunity arises. 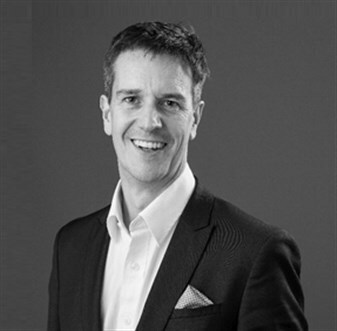 Simon has over 25 years’ experience in further and higher education and was originally from the automotive engineering industry. His focus at B&FC is on learning, teaching and assessment but also has executive responsibility for engineering and science, maritime and offshore, construction, computing and digital industries and energy. He believes that education and training is a key enabler of social mobility and that it not only helps individuals, but the economy as a whole. Simon has an MSc in Leadership and Management and has various interests including music, classic car restoration and classic motorsport. B&FC has been working with employers since 1892 to deliver a skilled workforce across Lancashire and beyond and to secure sustainable and rewarding careers for its students. Today, it is a national leader in the development of degree apprenticeships with its partner Lancaster University, one of the top 10 universities in the UK. Judged outstanding by Ofsted, B&FC is renowned for high quality technical and professional education and was awarded Teaching Excellence Framework GOLD in June 2017 for its higher education provision. B&FC has been the highest performing large FE college in England for student success for 3 consecutive years (source: ESFA 2017, 2016 and 2015). It was awarded Foundation Degree Awarding Powers in September 2016. In 2015 the College was awarded the Queen’s Anniversary Prize for Higher and Further Education for its technical and professional work in partnership with employers. Based in East Lancashire, Setco Automotive (UK) Ltd. are responsible for the design, development and distribution of the Lipe brand of commercial vehicle clutch products throughout the UK and Europe. As a degree qualified Mechanical Engineer, Matthew’s career within the automotive industry spans over two decades and includes the development of products for major global technology companies including Eaton transmissions and Garrett turbochargers. Having joined Setco Automotive in 2009, Matthew is now responsible for the management of the UK facility and has been instrumental in driving continuous improvements in efficiency, quality and health & safety across the site. Having been an advocate of the Northern Automotive Alliance for many years, Matthew is very pleased to have been nominated to the board and is keen to promote the benefits of Northern Automotive Alliance membership to anybody who is willing to listen! Dave is the Director for EA Technology’s Strategy & Interventions business – a £6m business of c50 energy professionals. Its aim is to support the strategic choices for energy network customers through its consultancy services and embedded software platforms, with core offerings related to quantifying & reducing investment uncertainty for power assets, improving network resilience and addressing future demands. 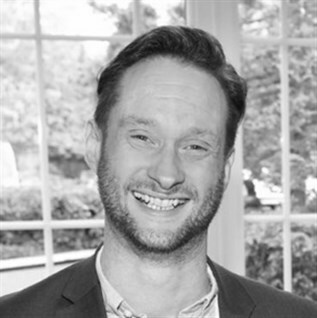 He has over 17 years in the UK electricity industry, joining EA Technology in 2009 from roles in ScottishPower, with an active history in network innovation, smartgrids and electrical asset management. More recently, he has led on a number of key innovation projects including the UK’s largest grid / electric vehicle trials (My Electric Avenue, Electric Nation), OpenLV and Charge a bid in the 2018 Network Innovation Competition. Dave is a regional councillor for the CBI’s North West Branch and a member of the Ofgem/BEIS Smart Systems Forum. Outside work Dave is a surfer, snowboarder and a coach for British Gymnastics – he lives with his wife and two sons in North Wales. Scott J Tolson – Chief Executive Officer, Sigmatex Group and is responsible for the strategic direction of the Sigmatex Group. Sigmatex is a UK based technical textile manufacturer and one of the world’s leading converters of Carbon Fibre. Having expertise in this field since 1972, they have grown rapidly to meet ever increasing worldwide demands for their products and services. Sigmatex currently has five manufacturing facilities, two in the UK, two in the USA and one in Shanghai, China. Servicing the growing demand for carbon composites Sigmatex has a strong global position in markets where “light weighting” is increasingly important, particularly in automotive and aerospace. 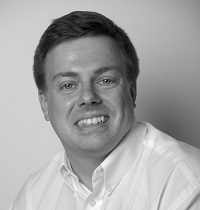 Scott’s main focus is in the development of strategic alliances with the carbon fibre manufacturers and key customers worldwide, the coordination and control of the significant investments in R & D, Technologies and the expansions in manufacturing capacities, whilst ensuring the individual operating units perform in line with the expectations of the Shareholders. Scott has been with Sigmatex since 1996. Prior to this he has held various Director and Management positions in a variety of manufacturing businesses involved in composites, engineering, oil & gas and the chemical industry. He has worked in the carbon fibre composites business since 1988. He is a Fellow Member of the Chartered Institute of Management Accountants and holds a Bachelors Degree (with honours) in Accounting and Finance. Allan Wilson is Engineering Manager for Pirelli Ltd’s UK factories. As Chief Engineer, he is responsible for the company’s physical assets and 120 people involved in investment projects, maintenance, facilities and energy services at Pirelli’s Carlisle and Burton on Trent sites. His wide international experience has been built up over 14 years in senior Production and Engineering positions including 4 years based in Italy where he had worldwide responsibility for Energy Services and Maintenance in Pirelli’s 22 factories. Born in Carlisle, he has been involved in some notable successes during this time, including the Carlisle site being awarded the Japan Institute of Plant Maintenence, TPM award for manufacturing excellence; the first time this prestigious award had been awarded to a UK factory, and only the second time outside Japan. 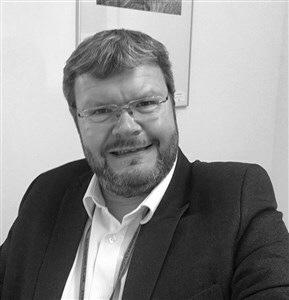 Allan is a Director of the Cumbria Employment and Skills Board, Employer Advisor to Carlisle College and is board member of the Carlisle Economic Partnership.